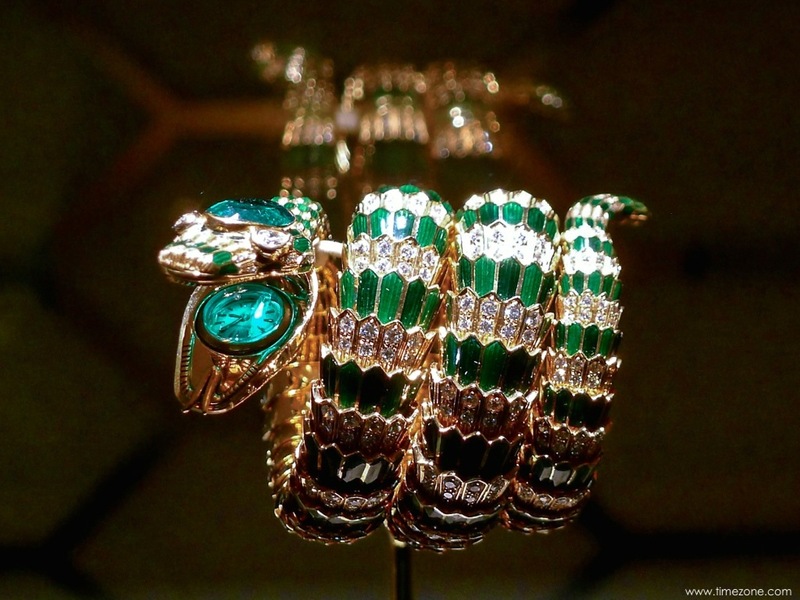 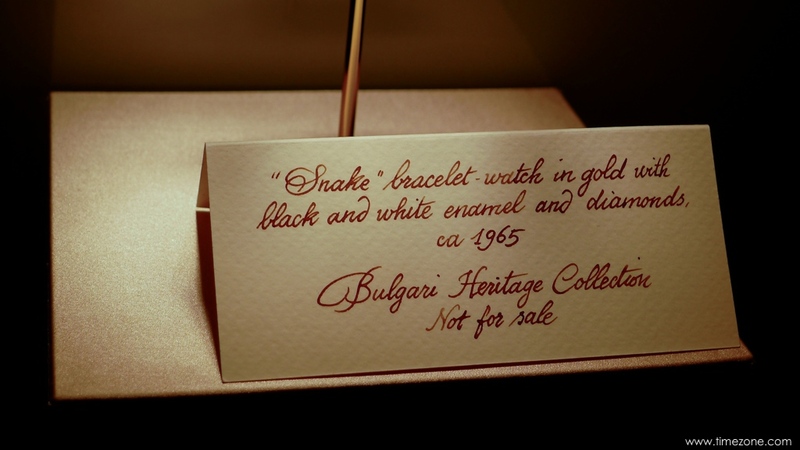 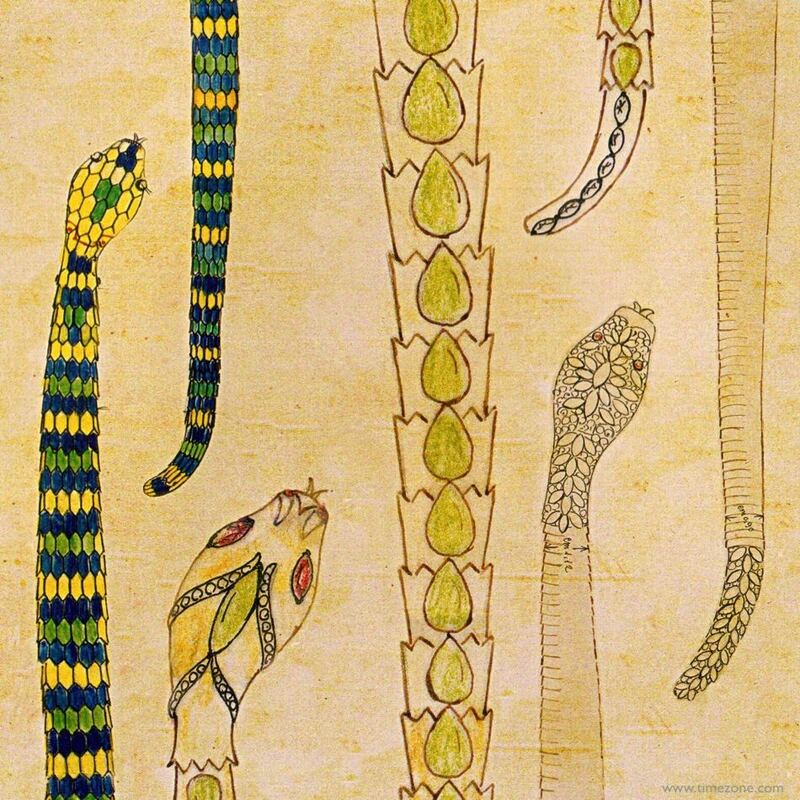 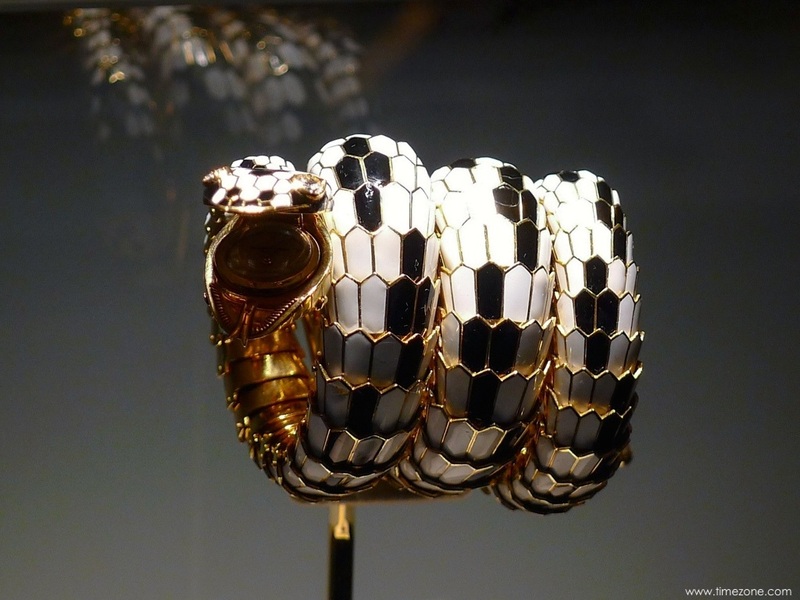 During the 1960s, Bulgari successfully interpretted the snake motif into a wristwatch. 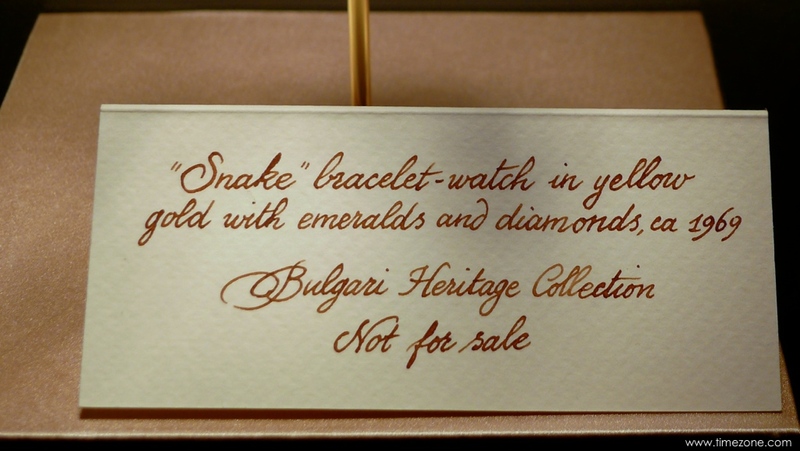 Coiling multiple times around the wrist with a watch case placed either inside the serpent's head, or positioned in the center of the bracelet, the leading watchmakers developed movements for Bulgari's Serpenti bracelet watch, including Audemars Piguet, Jaeger-LeCoultre, Movado and Vacheron Constantin. 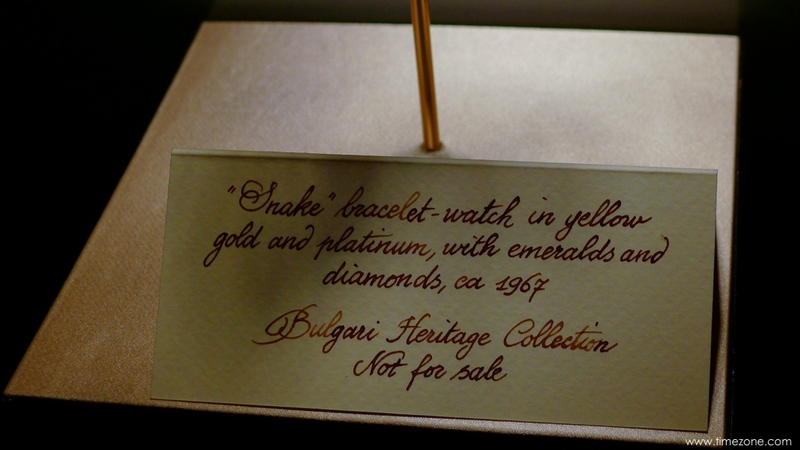 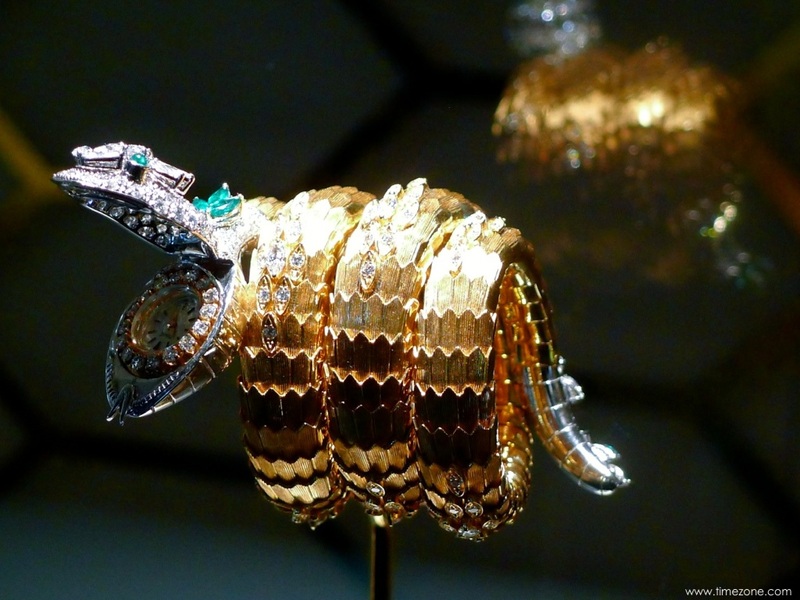 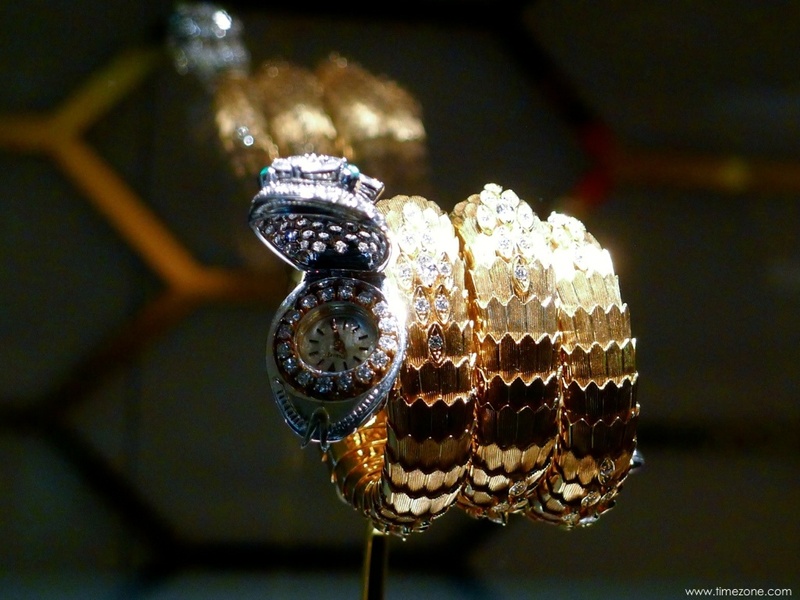 See also The Art of Bulgari Exhibition at the de Young Museum in San Francisco.